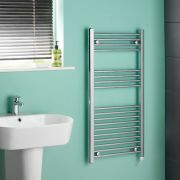 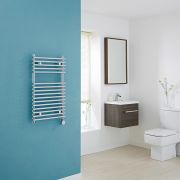 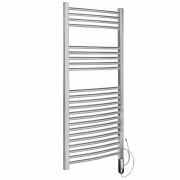 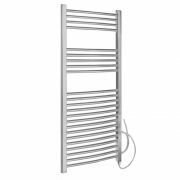 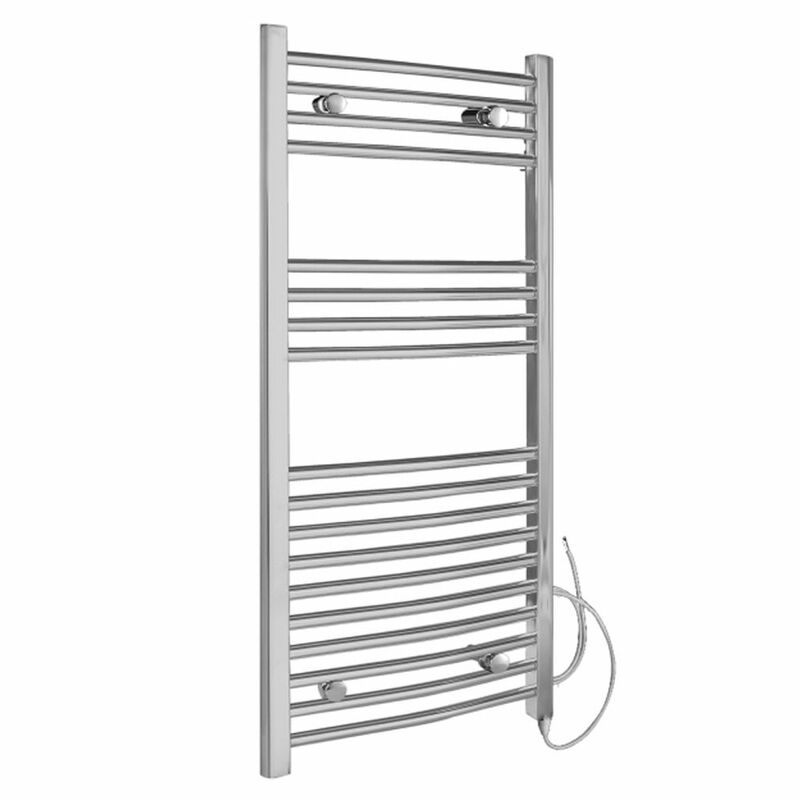 The Kudox 1000mm x 500mm curved electric heated towel rail features a chrome finish to suit any modern bathroom decor. 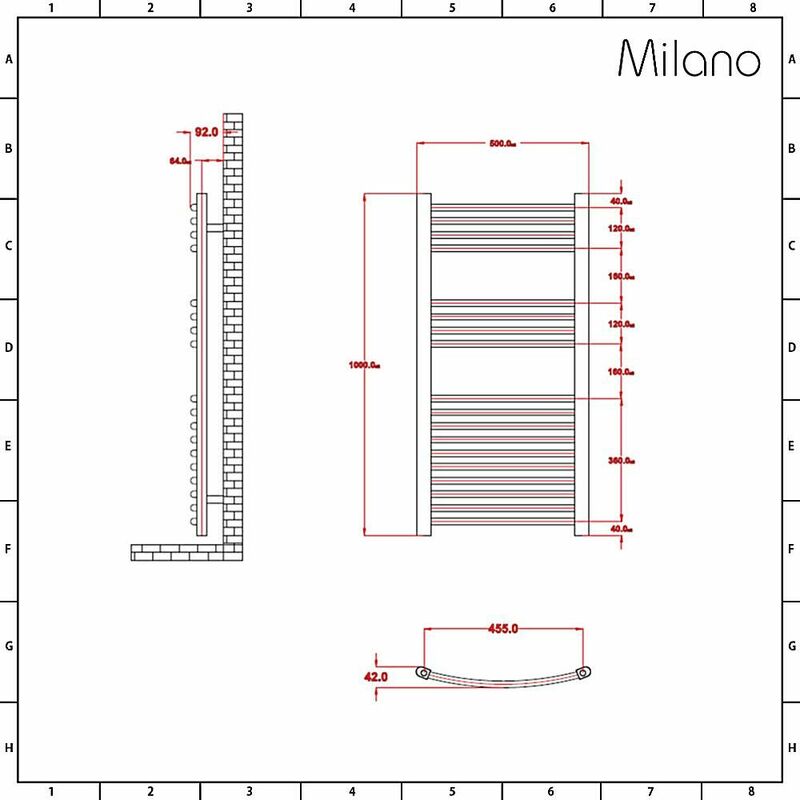 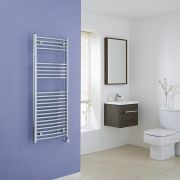 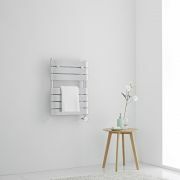 The electric towel rail radiator uses a very efficient 150 watt standard element. 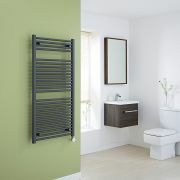 An electric heated towel rail is ideal for use in homes such as apartments that do not have a central heating system. 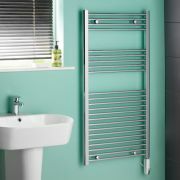 They are great for using in the summer months when the heating system is switched off. The electric towel rail connects to a domestic electricity supply. 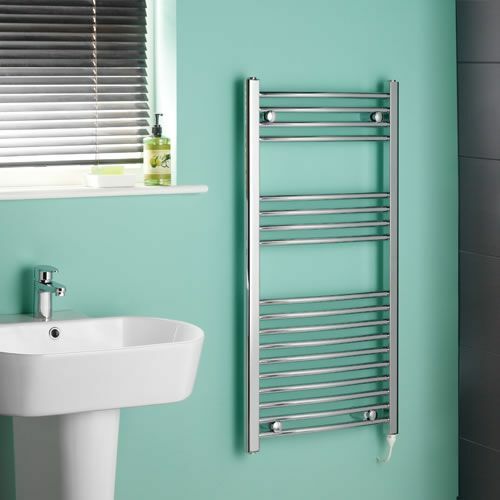 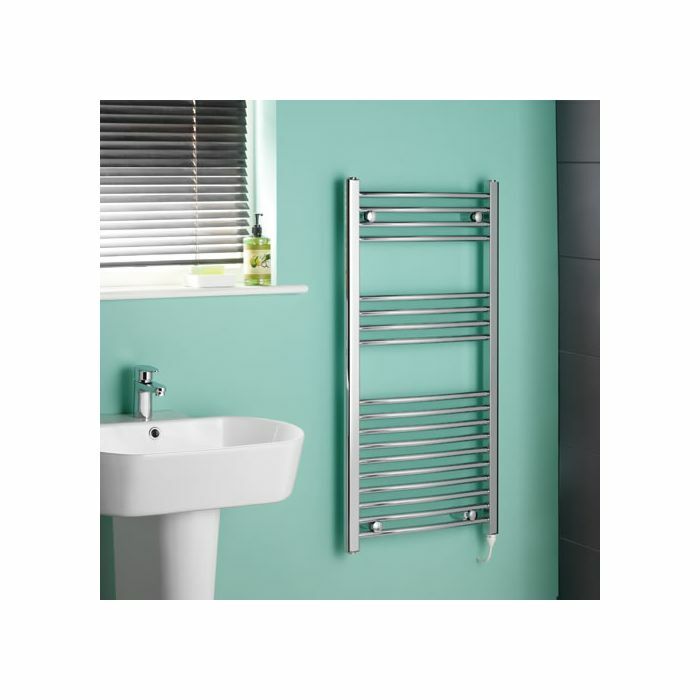 Manufactured from high-quality steel, the heated towel rail is pre-filled with water, anti-freeze and anti-corrosion chemicals to ensure long-lasting use. 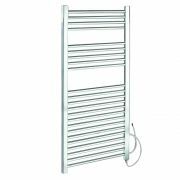 The curved 1000mm x 500mm electric heated towel rail features 18 horizontal bars (19mm diameter), so there's plenty of room for towels.